Eight monks from three temples in Phuket have been defrocked after posting positive drug tests. Phuket officers raided three temples in Mueang Phuket and Kathu district – Samkong Temple, Kathu Temple and Thepnimit Temple – after locals complained about drug in the temples. 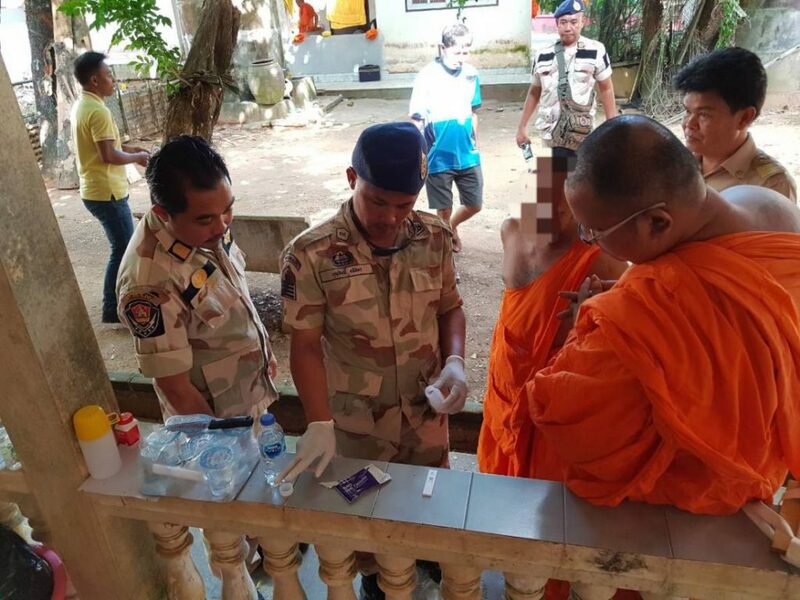 Officers conducted urine drug tests on the monks. The drug tests show that one monk from Samkong Temple and seven other monks from the Kathu Temple came up with a positive reading. 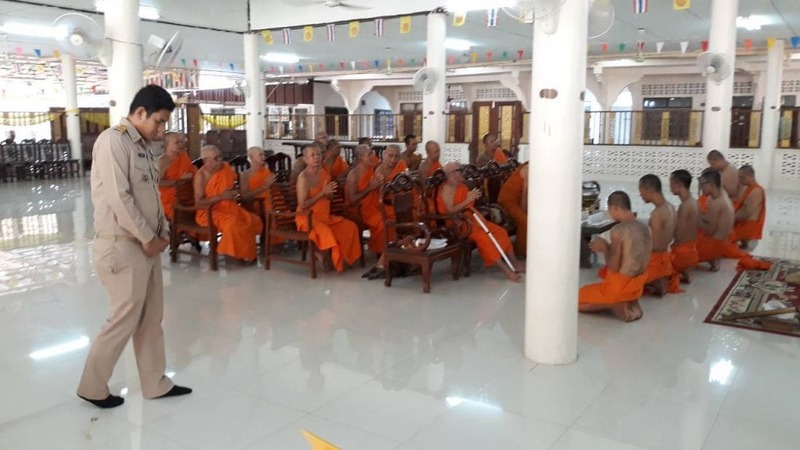 The eight monks have now been defrocked by a senior monk before being taken to the Phuket Provincial Narcotics Control Management Centre for further drugs treatment. Police are investigating the temples and questioning the monks.